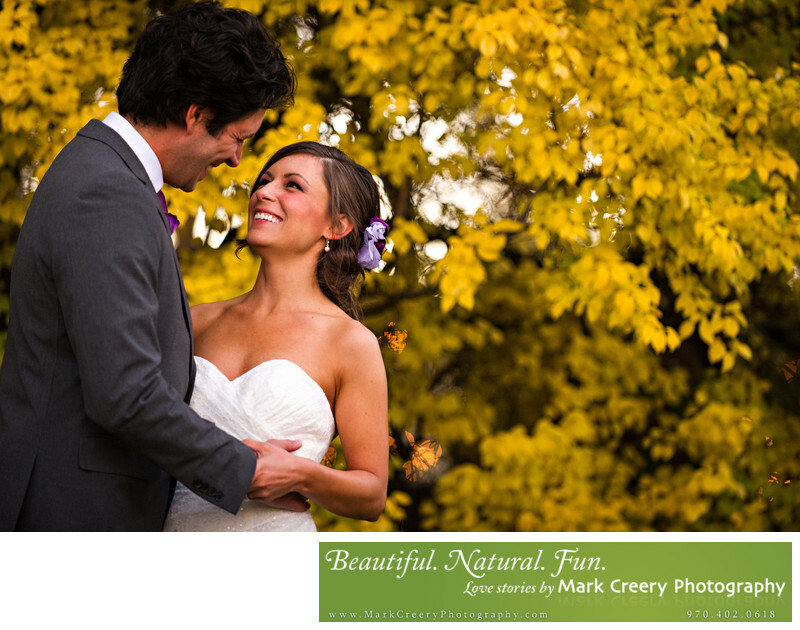 At this Fall wedding at the Tapestry House in Fort Collins, the bride and groom are exchanging loving looks with bright yellow changing leaves behind them. Fall in Fort Collins is a wonderful time of year. The day time heat of the summer starts to fade, with the kind of weather where you feel like being outside all the time. This means it's a perfect time of year for weddings! The thunderstorms dissipate and the weather gets more predictable and dry - key features for planning an outdoor wedding far in advance. Wedgewood at the Tapestry House is located in Laporte, Colorado. Contact: (970) 237-6369, events@wedgewoodbanquet.com.